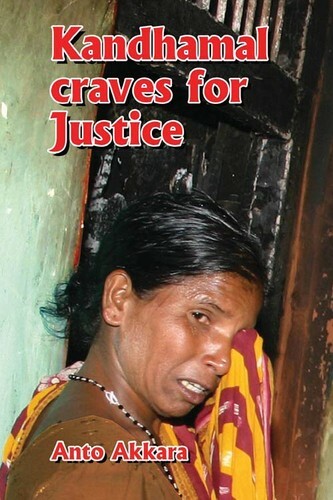 1 edition of Kandhamal craves for Justice found in the catalog. Add another edition? Are you sure you want to remove Kandhamal craves for Justice from your list? Published August 23, 2013 by Veritas India Books in Bangalore . Released in New Delhi on August 23, 2013 – 5th anniversary of Kandhamal conflagration, the investigative book exposed the travesty of justice in Kandhamal– scrutinising the failure of the constitutional watchdogs like judiciary and the National Human Rights Commission (NHRC). When the lofty constitutional guarantees were reduced to ashes along with churches and Christian houses, the mandarins of Orissa remained mute spectators to the bravado of saffron henchmen. The zealots threatened Christians to embrace Hinduism to live in Kandhamal. The defiant ones were put to the sword, chopped into pieces, burnt alive or crushed with boulders. Kandhamal has laid bare before the nation the ugly face of Hindu nationalism. Amid pervasive stories of hatred, brutality, indifference, double-speak and deceit, the journalist author also brought to light how the silent majority has started speaking out... offering a beacon of hope as reparation for the communal frenzy that has left a scar on the secular face of Mother India. How did the mighty arms of the Secular Democratic Republic of India respond to the challenge? Did the judicial system falter in delivering justice? Why did the NHRC remain silent on the blatant human right abuses in Kandhamal? Was there a bigger conspiracy behind the murder in the jungle? December 14, 2017 Edited by Todays Martyrs Reviewer Edited without comment. December 14, 2017 Created by Todays Martyrs Reviewer Added new book.